You decide the location, let Amour Getaways take care of the rest. From adventurous group vacations to relaxing private retreats, we offer a variety of romantic and intimate travel options. Experience the highest level of professionalism and discretion for your romantic travels with Amour Getaways. 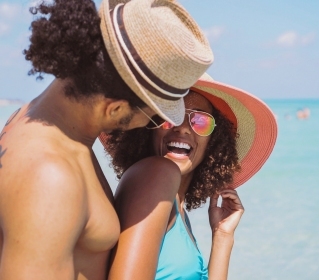 Whether traveling with your significant other for a romantic escape or with a group of like-minded friends for new adventures, Amour Getaways has you covered! Let us help you create new memories and establish deeper emotional connections with those you love! Looking for a quick getaway that will offer you an escape from your daily life to help you focus on yourselves, your relationships and the wonder of nature? The couples healing techniques workshop was amazing! We had never done the techniques shared at the workshop before. It was such a wonderful surprise to not only learn new techniques but experience the way they made us feel as well. Our instructor has magic hands! We left a much happier and calmer couple. We are very happy we made it to this event. We are looking forward to doing more sessions in the near future. I would highly recommend the healing techniques workshop to others!